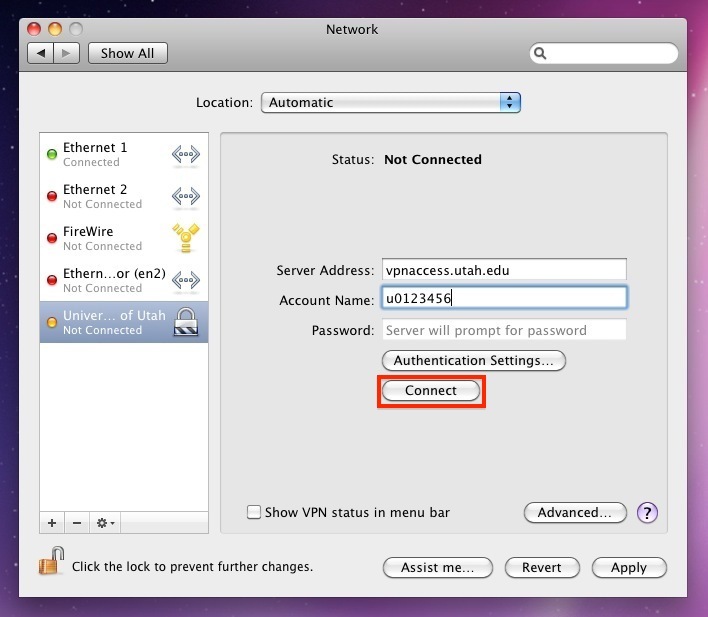 The University's VPN service NO longer supports IPSec for VPN access and requires the Cisco AnyConnect software be installed. 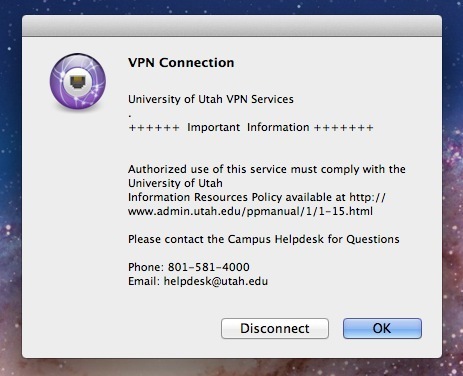 University student, staff and faculty can download the software from the University's Office of Software Licensing website or by opening a web browser to the website vpnaccess.utah.edu and login with your uNID, password , and 2FA passcode. 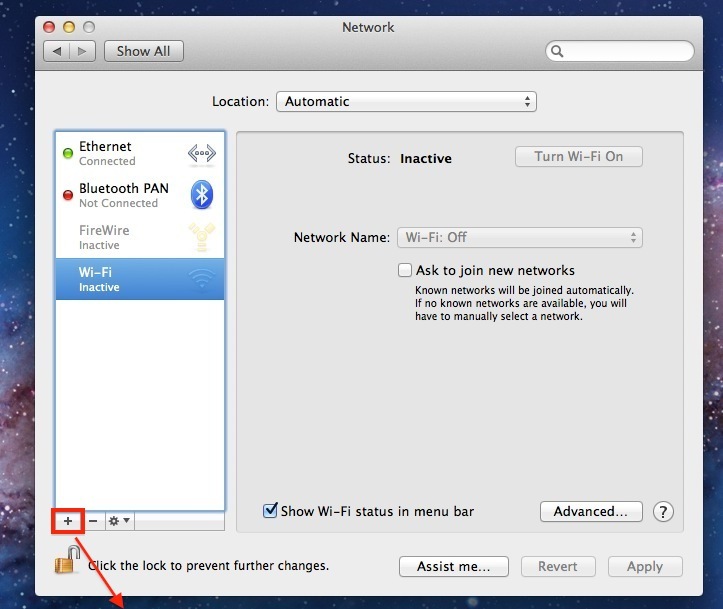 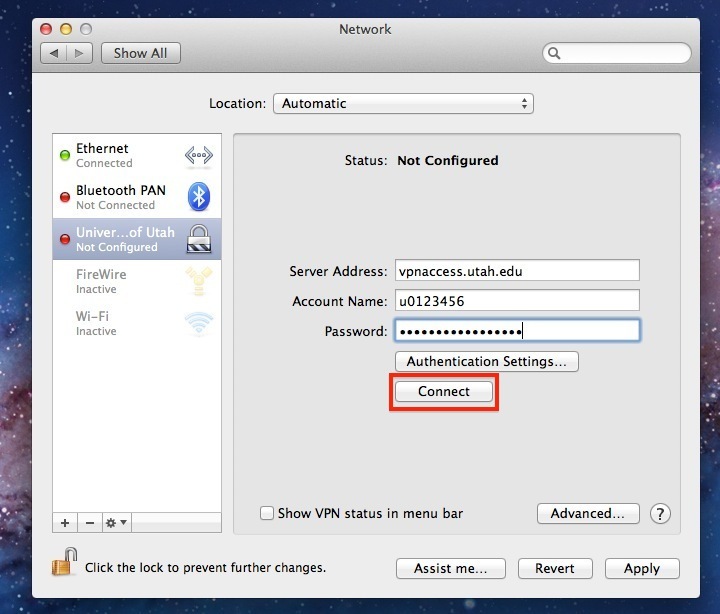 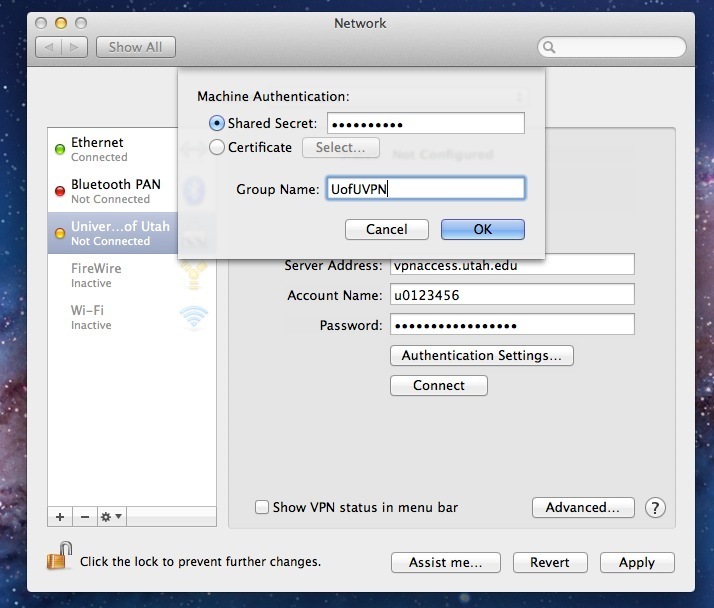 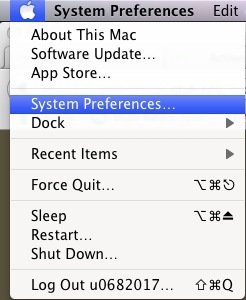 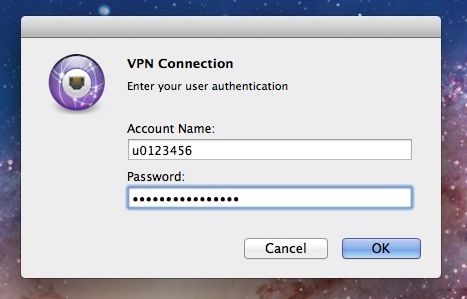 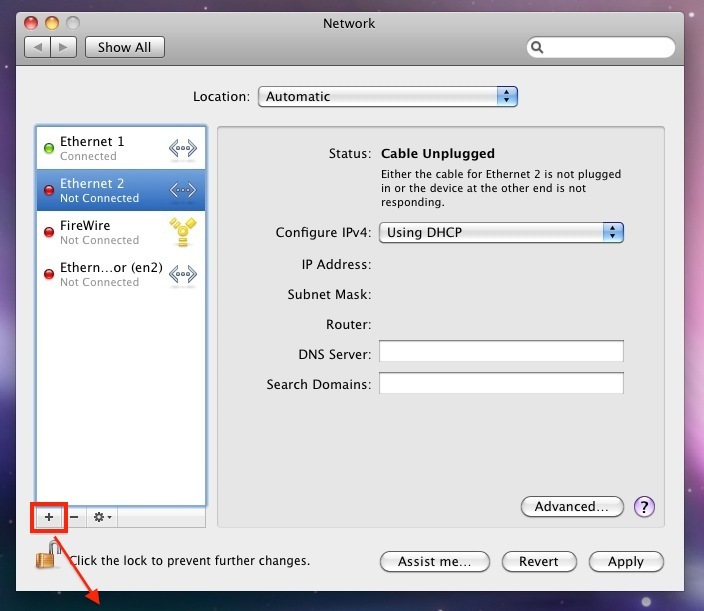 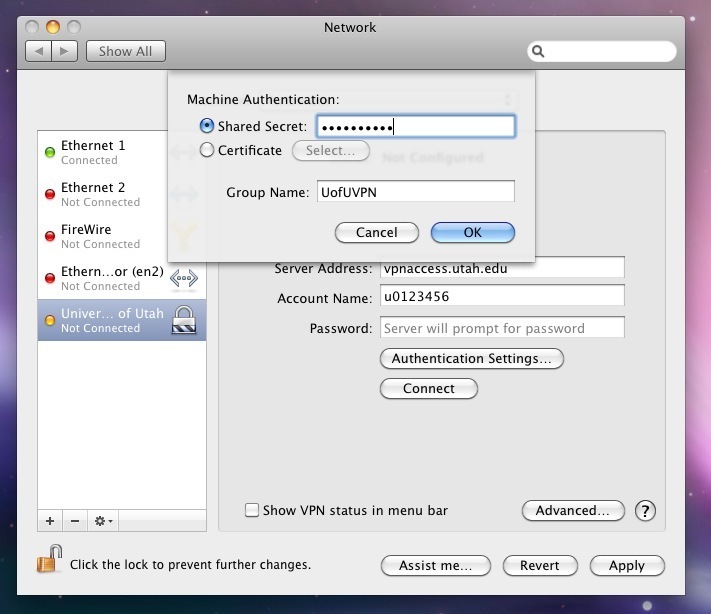 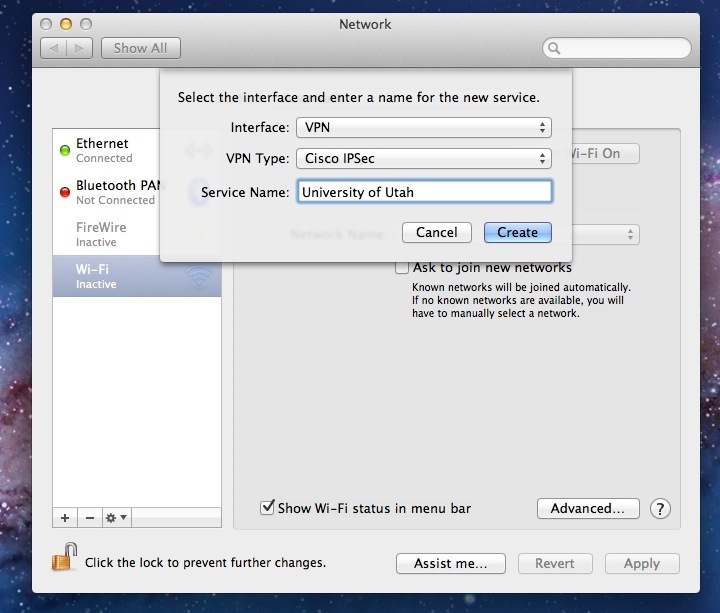 This is step-by-step manual setup of University of Utah Cisco VPN for Mac OS built-in VPN tool. 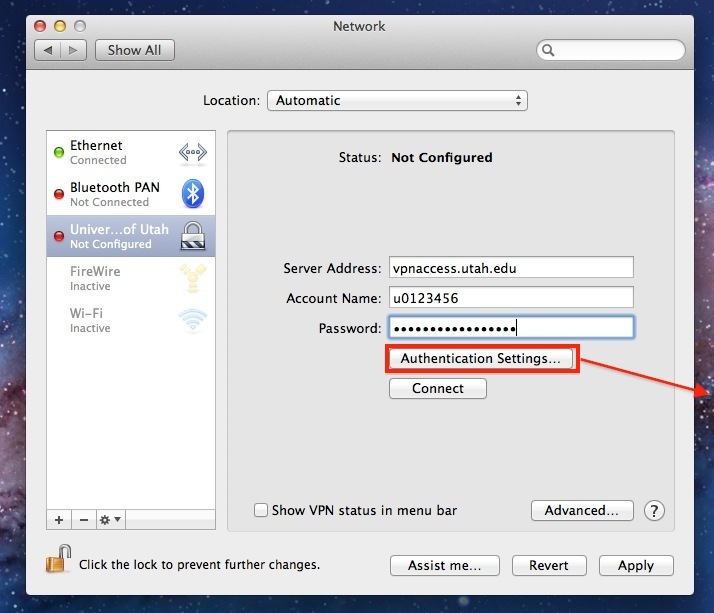 Click on "+" to add an VPN connection. 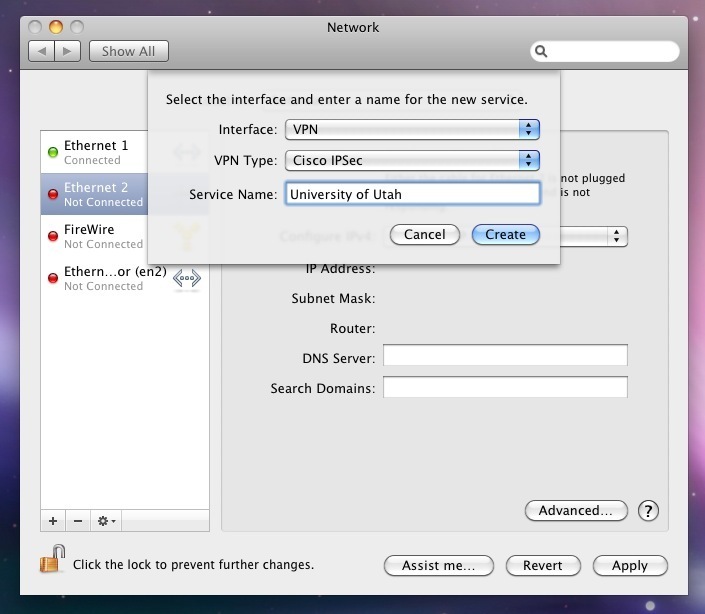 Give a Service Name: University of Utah. 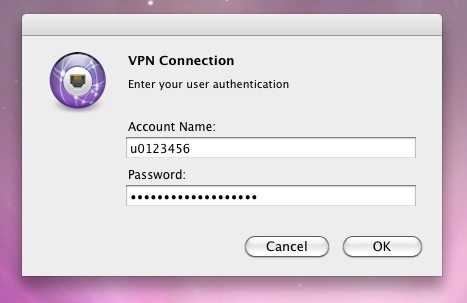 Don't put your password here. 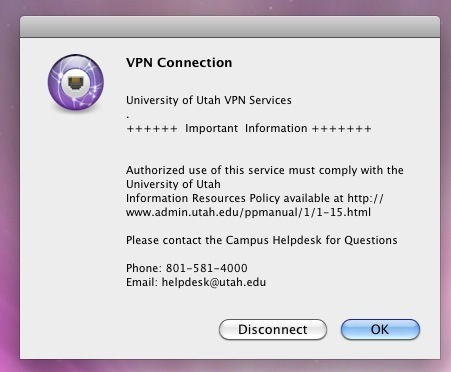 Please contact Campus Help Desk at 801-581-4000 option 1 for Shared Secret password. 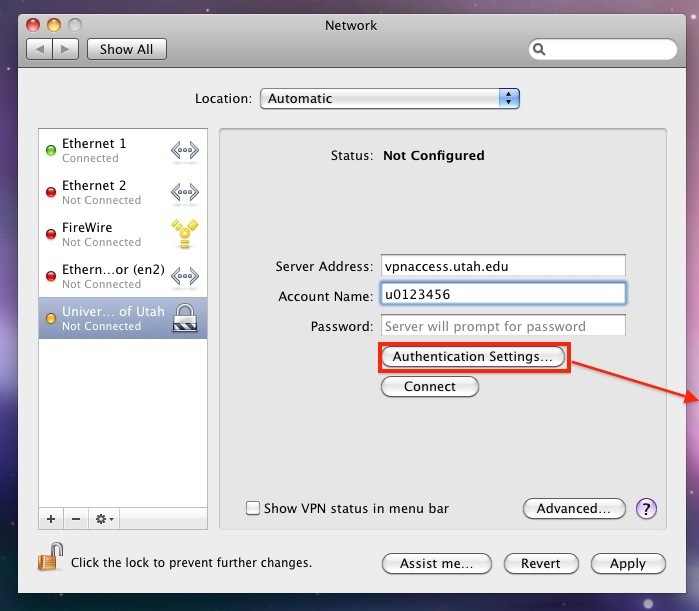 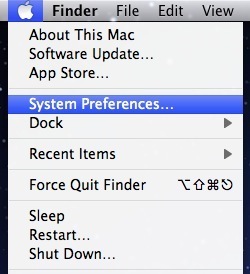 Step 2: Click on "+" to add an VPN connection.